New state of the art DR X-Ray system. We are delighted to announce that we have recently taken delivery of a new state of the art wireless DR X-Ray system. 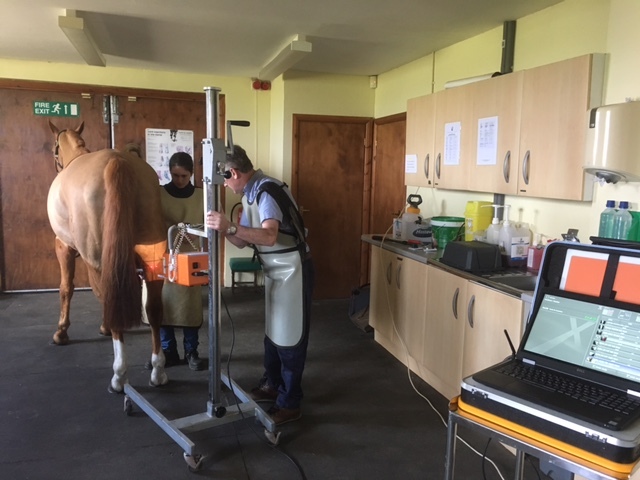 This will allow us to X-Ray your horse either at the clinic or on your own premises (which ever is more convenient to you) and to view the images on a laptop within 6-8 seconds of being taken. Being wireless, there are no cables or wires to trip over or to get your horse caught up in. This big investement is proof of our ongoing commitment to providing our clients with the highest possible levels of service. Hopefully you will never need to use this system, but still it is good to know its' there! We are delighted to announce that (in conjunction with Nupsala Veterinary services) we are now able to offer our clients access to a comprehensive range of regenerative medicine products at our clinic. Stem cell therapy is now widely regarded as the best way to treat tendon and ligament injuries in horses. Published results show a re-injury rate of less that 10% in treated horses. Bone marrow or adipose (fat) tissue biopsy samples are taken from the injured horse. Stem cells are separated from the other cells within the sample and encouraged to multiply. 2-4 weeks later they are resuspended in fluid from the original sample, checked for sterility and injected into the lesion under ultrasound guidence. Bone Marrow Aspirate (BMAC), is a cheaper option and is growing in popularity and is used in very much the same way as stem cells but without the culture time delay. This means that the lesion can be treated the same day as the sample is taken. In less that 15 minutes the monocellular fraction is isolated from the bone marrow, removing the red and white blood cells etc. This leaves a population of progenitor cells and growth factors which have both a stimulatory and a modulatory on injured tissue. Plasma Rich Platelets, (PRP). Platelets are concentrated (usually by filtration) from a blood sample taken directly from the injured horse. The platelets taken in this way are activated either by coming in contact with collagen or by the addition of thrombin and calcium chloride, this induces the release of growth factors which speeds up the healing process. This is a much less invasive procedure as it does not involve taking bone biopsies. Autologous Conditioned Serum (ACS) otherwise known as IRAP (Inter Leukin-1 Receptor Antagonist Protein). ACS is particularly useful in horses with arthritis that have not responded as well as we would have hoped to more conventional anti-inflammatory joint medication. A blood sample is taken from the affected horse and after about 24 hours 5-6 doses of ACS are produced. Some of these can be stored and this allows for repeat treatments down the line. The Acorns Equine Health Plans will provide for your horse's preventative healthcare needs and will allow you to budget in convenient monthly payments as well as giving you access to discounts to other products and services from our practice. 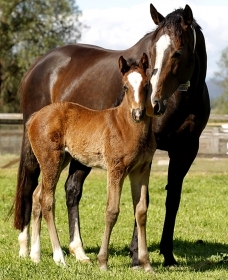 Our Equine Health Plan is not insurance, but has been designed to work alongside your current equine insurance. Our bespoke plan tailored with you and your horse in mind will allow you to pay a predictable, set amount each month to take the financial uncertainty out of the routine care of your horse. The plan is administered by our partner Denplan, who will collect the monthly direct debits. The basic plan covers routine vaccinations, teeth rasping and worm egg counts, whilst the 'Elite Plan' also includes a full 'MOT' etc. Both plans offer discounts on long term medication (eg. bute, Glucosamine, Prascend etc). Please feel free to speak to our veterinary surgeons or our ever helpful receptionists to see if you feel that you or your much loved horse(s) could benefit from our health plans. We can all save unnecessary expense with a little bit of forward planning. When your horse is due his annual vaccination booster, this could also be a good time to get his teeth checked (and rasped by veterinary surgeons, -who can sedate him if needed) or if he is on long term medication, is he due a follow up health check /blood test?. If we ever have occasion to examine him (eg. lameness etc), and his annual boosters are due soon, they can be brought forward, saving you a visit at a later date. Similarly bringing all your horses annual booster vaccinations into line means that they can all be done on a single visit. If you keep your horse on a livery yard, ask if anybody else also needs routine work to be done, you can then all 'share' the visit charge saving each of you some money. Finally in these hard financial times, it can be tempting to try to save on your horse's insurance premium. 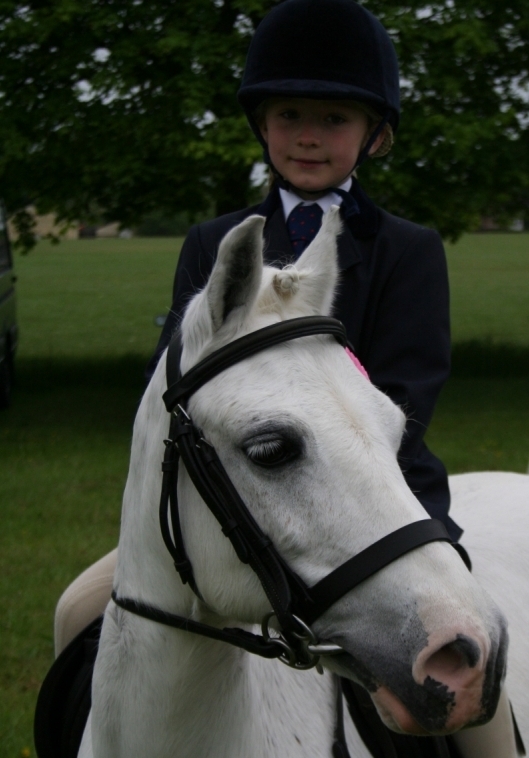 You might find that you have public liability insurance for your horse with membership of certain societies (or even included in your household insurance policy). However given the frequency with which horses run up expensive Vet bills, you have to ask yourself can really you afford not to insure him? It might be worthwhile looking at quotes from other reputable companies when your policy next comes up for renewal, or considering a high excess policy. If you need any help with this please feel free to discuss it with either our veterinary surgeons or our receptionists.